WTOP was named News/Talk Station of the Year at the 29th annual National Association of Broadcasters (NAB) Marconi Radio Awards in Orlando, Florida, Thursday night. WASHINGTON — WTOP was named News/Talk Station of the Year at the 29th annual National Association of Broadcasters (NAB) Marconi Radio Awards in Orlando, Florida, Thursday night. The NAB Marconi Radio Awards recognize radio’s “outstanding personalities and stations,” according to a news release from NAB. WTOP General Manager and Senior Vice President Joel Oxley accepted the honor at the NAB Marconi Radio Awards Dinner and Show. 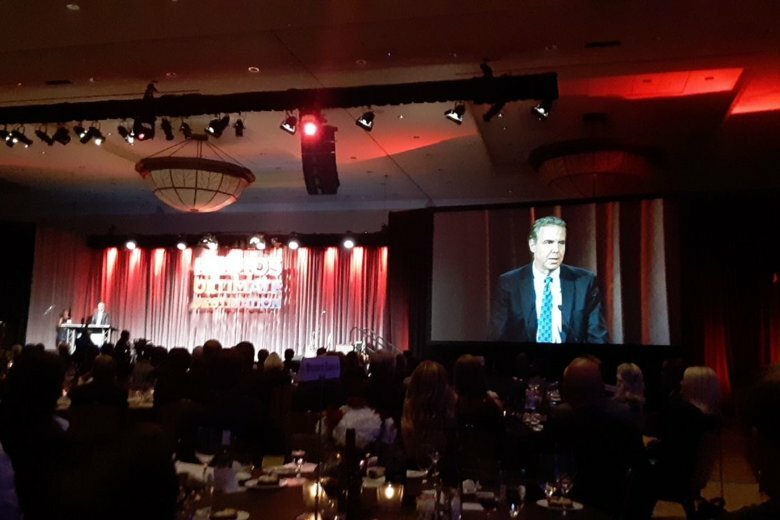 KSTP, based out of Minneapolis-St. Paul in Minnesota, won AC Station of the Year. KSTP is also owned by Hubbard Broadcasting. Marconi finalists were selected by a task force of broadcasters. The winners were voted on by the NAB Marconi Radio Awards Selection Academy. WTOP has won other major journalism awards in 2018, including the Crystal Heritage Award, the Chesapeake AP Broadcasters Award for Outstanding News Operation and the Edward R. Murrow Award for Overall Excellence.